Demonstrate business value through better planning and decision making. Instantly. What is The Change Compass? As an organization grows, change is inevitable and to keep track of the change that an organization needs to make, change management software is required. Change management software helps to ensure that standard methods and procedures are used to comply with all the changes that need to be implemented. Here are a few reasons for investing in organization-wide change management software. 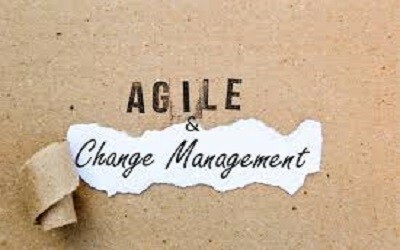 Change management Software complements change management plans. Change management software helps companies stay on the path for in-progress changes and help to document changes that have been completed so that there is a systematic record. Change management software also helps businesses to be in command for course corrections necessary to improve a business. Change management software helps to calculate the impact of each change and help organizations to understand the value of these changes. This basically enables organizations to carry out a change impact analysis which provides visibility into the change process at every level from small ideas to major projects. Change management tools help business managers and supervisors by keeping them notified of change ideas and help them to focus on each change to ensure that nothing is missed. The bigger the organization, the more common it is for each department or division to operate independently. This results in changes not been communicated and the result is inefficiency or confusion. Sometimes valuable information is privy to access of only one or two employees and it gets lost as well when they leave the company. With change management software, this problem is solved because there is a central point of consolidation of data regarding ideas, tasks, duties, and results in one place that is accessible for any member of the organization from anywhere. The end result is perfect strategic portfolio management as strategy and operations are aligned and integrated. Companies that want employees to trigger a change in the organization can be helped by change management software as it can help recognize and reward those employees who have taken initiative in bringing about positive change in the organization. Thus, change management software can be a valuable asset to improve results across the entire organization. Forecast business operations and resourcing impacts from changes, E.g. frontline resourcing, engagement channels, stakeholder groups impacted. A range of analytical reports are available to allow overview or deep dive. Here are some examples. Visualize how employee, customer or other stakeholders are impacted by changes across the board. Determine the point of change saturation. Quantify time impacts on frontline resources. Maximize project benefit realization by managing the amount and pace of change. Zoom in on which part of the business is most impacted by change. Drill down to understand how different layers of the organization is impacted by change. Visually see change impact levels at a glance. Visually map the different change impacts and activities that impact a part of the business over time. See a list of the initiatives impacting that business within a particular time period. Drill down and analyze initiatives that belong to a strategic theme, a business owner, stakeholder group, change activity type and/or time period.